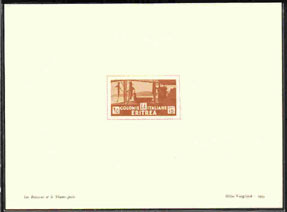 1229 EL ERITREA (1953) Shark fishery*. Helio-Vaugirard proof sheet printed for 1934 issue. Scott No 161, Yvert No 198.